Aging is inevitable. It will happen to everyone and no matter how hard they try to fight it. But, there is good news; there are ways to slow down the process. In order to slow down that process, skin care professionals must understand what the aging process is and how it affects the skin. Let’s start with the skin’s structure. Collagen and elastin are what make up the structure of the skin. These proteins are responsible for the skin’s elasticity and firmness. When collagen and elastin break down, and eventually stop being produced over time, the muscles begin to weaken, and the skin begins to sag. The skin loses volume. I am sure you are familiar with the term “turkey neck.” It is less than attractive and has clients reaching for turtlenecks and scarves year-round. The loss of volume in the skin may also cause visible deep lines near the eyes, mouth, and upper lip. This is because the epidermis is now thinning and the skin is much more fragile. Skin loses some of its fatty layer underneath the epidermis responsible for making it look plump. The delicate skin under the eyes sometimes appears sunken and mild swelling or puffiness also appears because of loss of muscle tone. The sun and its ultraviolet rays break down collagen and elastin and also change skin’s color. Hyperpigmentation spots are much more visible due to years of too much sun exposure. Melanin production protects skin from sun damage. But, production declines with age and skin loses its ability to protect against ultraviolet exposure. The best way to stop photoaging is to stay out of the sun and use a powerful chemical free sunscreen. Eventually, the skin is no longer able to recover from the damage and age spots start appearing. They are flat, usually brown in color, and the size of a freckle. Age spots often form in clusters, making patches of skin a different color. Hypopigmentation shows up as white patches. The texture of skin also starts to change. 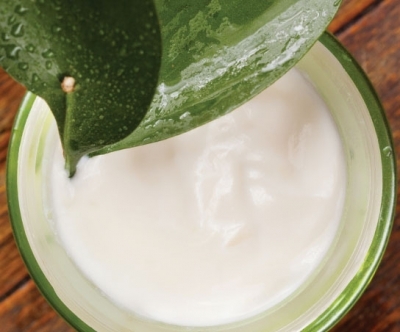 As aging occurs, skin becomes dry and flaky and produces less oil. There is also a decrease in hormone production. This hinders proper skin barrier function. Skin also becomes more uneven. Small, rough bumps known as seborrheic keratoses, which are noncancerous skin growths, and even skin tags start growing on the skin. Some hair growth on the cheeks, chin, and upper lip also occurs. Telangiectasias, small dilated blood vessels near the surface of the skin, also appear, usually around the nose, cheeks, and chin. Now, with this understanding, there are key factors that play a role in how a person ages including genetics, lifestyle, and the environment. Let’s divide skin aging into two categories: intrinsic and extrinsic. Intrinsic aging, or chronological aging, refers to the effects the genetic makeup has on the aging process. Heredity largely determines the intrinsic aging process and there is little control over how it affects the skin. We all have a genetic clock that is affected by free radicals and the body’s inability to repair damage. Race, ethnicity, and Fitzpatrick type also play a role. Extrinsic aging, however, is preventable. This refers to external factors that prematurely age the skin and can play a major role in the wear and tear on the skin. For example, repeated and excessive sun exposure, smoking, the environment, and even constant habits like squinting and frowning can affect how skin ages. 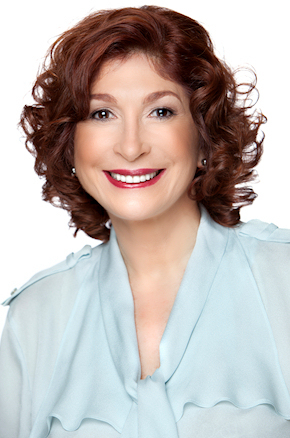 Annette Hanson is the founder of Atelier Esthétique Institute of Esthetics in Manhattan, a New York state licensing, NACCAS accredited skin care school, postgraduate facility, and the first United States aesthetics college to be recognized by London’s International Therapy Examination Council. Her professional experience spans more than 30 years as a Paris-trained aesthetician, waxing specialist, body therapist, salon manager, and spa consultant. A creator of two product lines, she is also a published author and sought-after lecturer at leading professional conferences worldwide. She was instrumental in the development of the 600-hour curriculum for the New York state aesthetics license, as well as the written and practical exam. She served as educator on the Appearance Enhancement Advisory Committee to New York’s secretary of state. She was inducted into the Aesthetics International Association’s Academy of Legends in August 2009 by DERMASCOPE Magazine. She is on the leadership committee of the ASCP Skin Care School Council.